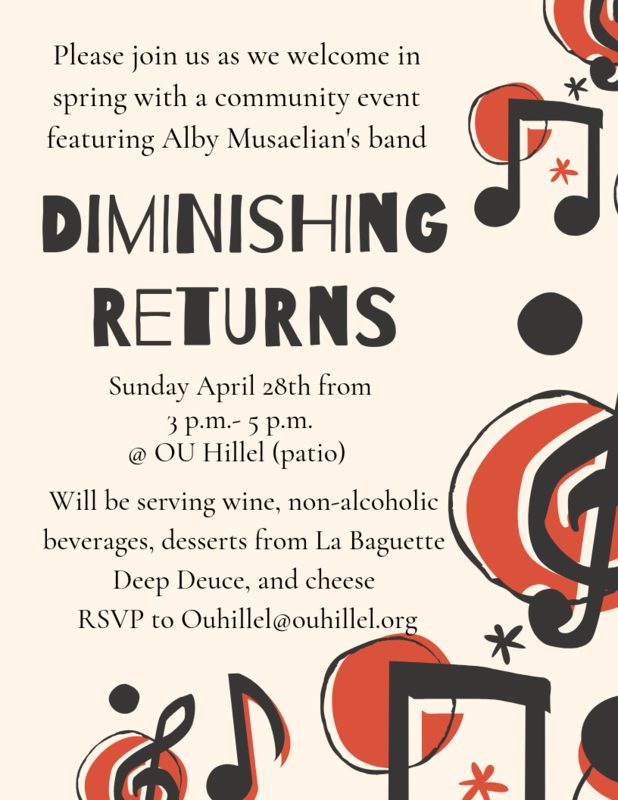 OU Hillel Staff and Students cordially invite you to join us as we welcome in spring. Our very own student, Alby and his Jazz band will be playing live on the patio throughout the event. This is a great opportunity to meet our students, staff, and your community. We will be serving wine, non-alcoholic beverages, desserts from La Baguette Deep Deuce, and cheese.